Mass Culture | Discussions of film, television and popular media. Please join us on Friday, April 26, 2019 at 11:00am in Cobb 311 for the second meeting of the Mass Culture Workshop for the Spring Quarter. We are delighted to welcome James J. Hodge, Assistant Professor in the Department of English and the Alice Kaplan Institute for the Humanities at Northwestern University. Professor Hodge will be presenting a talk entitled “The Subject of Always-On Computing.” An abstract is available below. We look forward to seeing you on Friday. As always, refreshments will be provided. James J. Hodge is assistant professor in the Department of English and the Alice Kaplan Institute for the Humanities at Northwestern University. His book Sensations of History: Animation and New Media Art is forthcoming this fall from the University of Minnesota Press. His current research in digital media studies focuses on the rise of new networked genres such as the animated GIF and the supercut. There is no pre-circulated paper for this workshop. To what extent does black representation in Hollywood exist in a state of perpetual emergency? Swinging between the two extremes of dearth of representation on the one hand, and politically regressive presence on the other, the history of the black image in film has been a simple story of conflict. From The Birth of a Nation to the whitewashing of black stories, these oppositional forces create a constant state of crisis around matters of black representation, leading to the celebration of “wins,” most often in the form of accolades, awards nominations, or even mere being. The problem with this scenario, I argue in this paper, is that this constant state of representational urgency obscures the more nuanced questions of how representation functions, what it means, and how it resonates. If we consider it a “win” for a black cast film to merely exist, where and when do scholars, critics, and fans get to ask questions about quality, taste, and emotional resonance? Or, to frame it differently, is there even space to contemplate these aspects of cinematic representation when the history of the black image has always been one of celebrating wins and trying to minimize losses? Racquel Gates is an Assistant Professor at the College of Staten Island, CUNY. Her research focuses on blackness and popular culture, with special attention to discourses of taste and quality. She is the author of Double Negative: The Black Image and Popular Culture (Duke, 2018) and has written numerous essays on film and media, some of which appear in Film Quarterly, Television & New Media, The New York Times, and The Los Angeles Review of Books. Please join us on Friday, March 8, 2019 at 11:00am in Cobb 311 for the final meeting of the Mass Culture Workshop for the Winter Quarter. We are delighted to have Meghanne Barker, Collegiate Assistant Professor in Social Sciences at the University of Chicago. Meghanne will be presenting the final chapter from her book manuscript entitled “Stepping Out of the Frame.” Responding to the chapter is Marissa Fenley, PhD Student in English and TAPS. Meghanne’s chapter is available for download here. Please do not circulate without permission. Please email either Gary [gkafer@uchicago.edu] or Cooper [cooperlong@uchicago.edu] for the password. This session will be co-sponsored by the Theater and Performance Studies Workshop. This chapter follows two protagonists as they move out of the frame in which they have been placed, as they move from their second home, the site of their temporary displacement, back to their first home. The chapter moves between the story of Kashtanka, a dog who makes her debut at a circus and is discovered by her first masters, and of Marlin, a boy at Hope House, the temporary children’s home in Kazakhstan where I conducted my research. It follows Marlin on his last day as he makes his way home with his father. 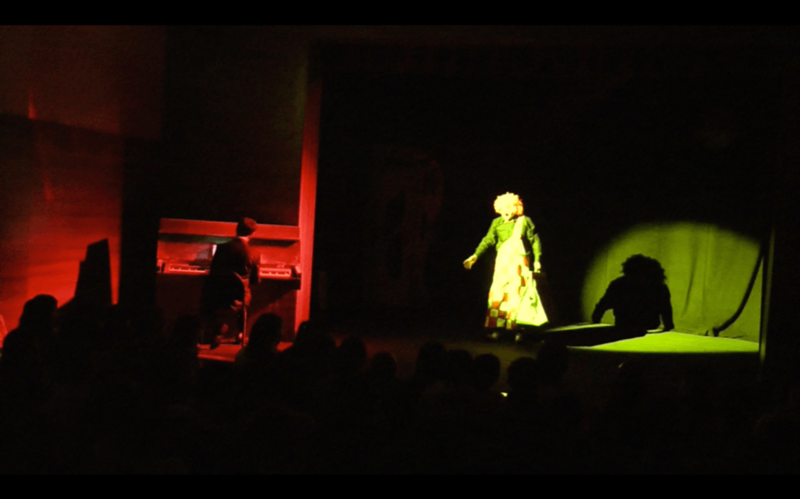 It looks not only at the plot of the play of Kashtanka itself, but also at the ways relationships were threatened, ruptured, and repaired among the artists working to put together this play at the Almaty Puppet Theater. The chapter examines the role of various kinds of frames – the frames of performance, of mediating technologies, and even physical frames for text objects – in enabling decontextualization and recontextualization, thus offering new perspectives and mitigating loss as people move out of particular frames and into new spaces. Meghanne Barker is a Collegiate Assistant Professor in Social Sciences and a Harper-Schmidt Fellow in the Society of Fellows at the University of Chicago. She is a linguistic anthropologist whose research examines intersections of play, performance, materiality, and childhood in post-Soviet Kazakhstan. Barker received her PhD in 2017 from the University of Michigan in Ann Arbor. She is currently developing this research into two book projects. First, an ethnographic monograph, Animating Childhood in Almaty, shows the role of everyday enactments of ideal childhood, family, and home for preschool-aged children growing up in a temporary, state-run home. In her second book project, Puppets of the State, Barker expands her historical investigation of the vast network of Soviet-era, state-run puppet theaters and their contemporary legacy, examining puppets’ roles in socializing young citizens and in international campaigns of soft power through tours and festivals. Please join us on Wednesday, February 27, 2019 at 5:30pm in Foster 103 for the fourth meeting of the Mass Culture Workshop for the Winter Quarter. We are delighted to have Pedro Doreste, PhD Student in Cinema and Media Studies at the University of Chicago, and Dalina Perdomo, Curatorial Fellow for Diversity in the Arts at Museum of Contemporary Photography. The title of their paper is “Romance in Absentia: A Cultural History of Puerto Rican Cinema Found and Lost.” Responding to the paper is Carmelo Esterrich, Associate Professor of Humanities at Columbia College-Chicago. Pedro and Dalina’s paper is available for download here. This session will be co-sponsored by the Workshop on Latin America and the Caribbean. 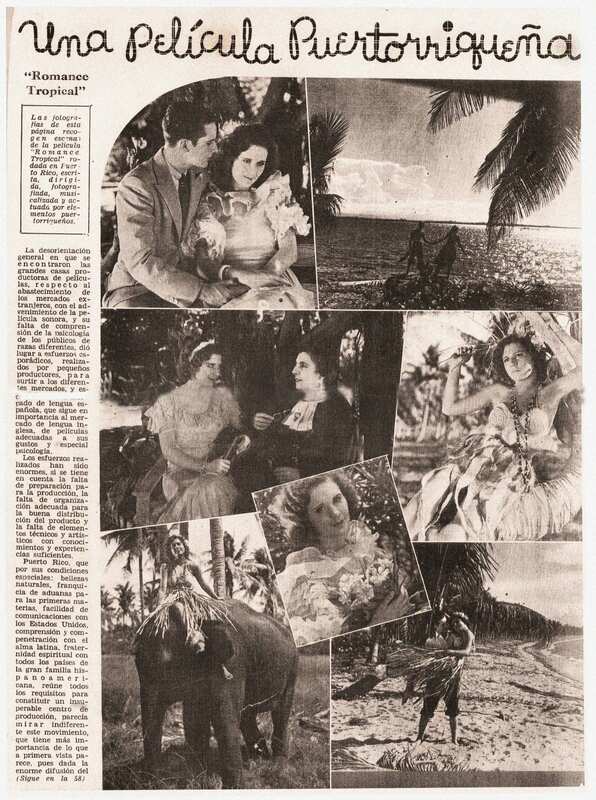 Romance Tropical (1934), directed by Juan Emilio Viguié Cajas, is the first feature length Puerto Rican sound film and, at the moment, the earliest extant Puerto Rican film. 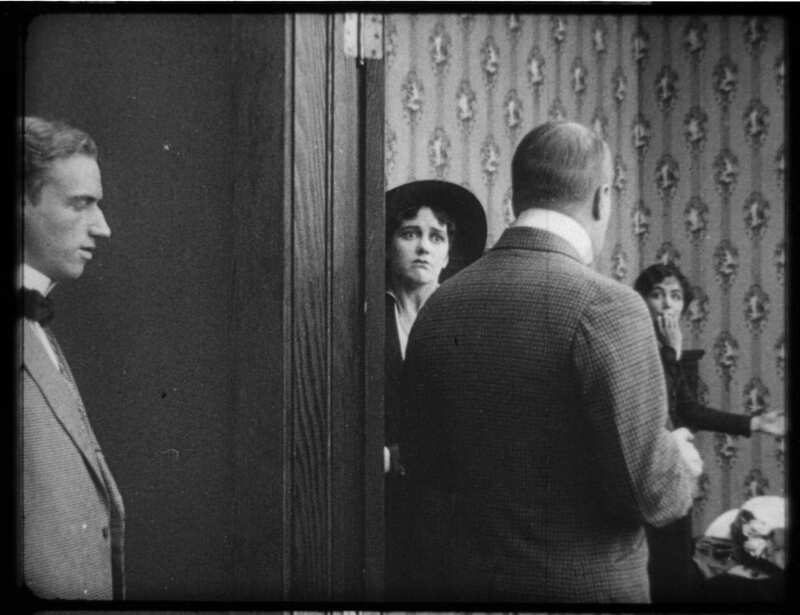 The film was thought lost for over eighty years when it was accidentally found at the UCLA Film & Television Archive. This discovery opened up new possibilities for the study Puerto Rican film, as previous to this, the earliest Puerto Rican film available to the public was one released in 1951. The locating and restoration of Romance Tropical is an invaluable addition to the ongoing discourse surrounding Puerto Rico’s national cinema, or lack thereof, yet it also raises questions of ownership due to the complicated geopolitical relationship between Puerto Rico and the United States. The terms of how the film was found adds to this context, as it was “lost” to Puerto Rico and then given new life by a process of being found, verified, preserved, digitized, screened, and ultimately “rescued” by a series of American institutions. In addition to the troubled nature of the film’s rediscovery and delayed reexhibition, there remains the fact of the film’s problematic content. The film itself perpetuates certain imperialist and racist ideologies typically associated with the Unites State’s treatment of its unincorporated territories—a relationship of occupation, discrimination, and othering—as it allows a suspiciously white Puerto Rico to imagine itself as the metropolis, invading and plundering a different island populated by a black, “uncivilized” indigenous society. But such a discussion about Puerto Rico’s own racist history and the politics of film preservation did not take place in the eighty years during which the film was lost, and it appears as if the film’s rediscovery has yet to catalyze it. As of this writing, Romance Tropical has yet to re-premiere in Puerto Rico as the island continues to recover from the devastating effects of Hurricane María. We envision this paper as a necessary corrective to these entities’ teleological understanding of recovery — recovery from various forms off decay, disaster, or neglect. Pedro Noel Doreste Rodriguez is a third year doctoral student in Cinema and Media Studies at the University of Chicago. His research surveys the emergence and disappearance of transnational cinemas in and of Latin America, with a particular focus on the minor cinemas of the Caribbean. His work has been published in Reception and Atenea. He loves his dogs. Dalina Aimée Perdomo Álvarez received her MA in Film Studies from The University of Iowa. She is currently Curatorial Fellow for Diversity in the Arts at the Museum of Contemporary Photography, and also works at the Video Data Bank. She uses whatever free time is left to write about Puerto Rican film and its intersections with other art forms. Please join us on Friday, February 22, 2019 at 11:00 AM in Cobb 311 for the third meeting of the Mass Culture Workshop for the Winter Quarter. We are delighted to have Aurore Spiers, PhD Candidate in Cinema and Media Studies at the University of Chicago. Her presentation is entitled, “Blackface Performance(s) in Edgar Arceneaux’s Until, Until, Until… (2015).” Prof. Allyson Field will serve as respondent. Aurore’s chapter is available for download here. This paper examines the uses of blackface in Edgar Arceneaux’s multimedia work titled Until, Until, Until… (2015). Until, Until, Until… was performed as a live play in 2015 in New York and in 2017 in Los Angeles, where it also lived as a video installation in an exhibit about the traumatic history of African American displacement and erasure in the United States. It features African American stage actor Frank Lawson playing Ben Vereen playing Bert Williams at Ronald Reagan’s first inaugural ball on January 19, 1981. Reagan’s “All-Star Inaugural Gala” was broadcast on ABC with delay, which allowed for the producers to edit out the second part of Vereen’s blackface act for television. 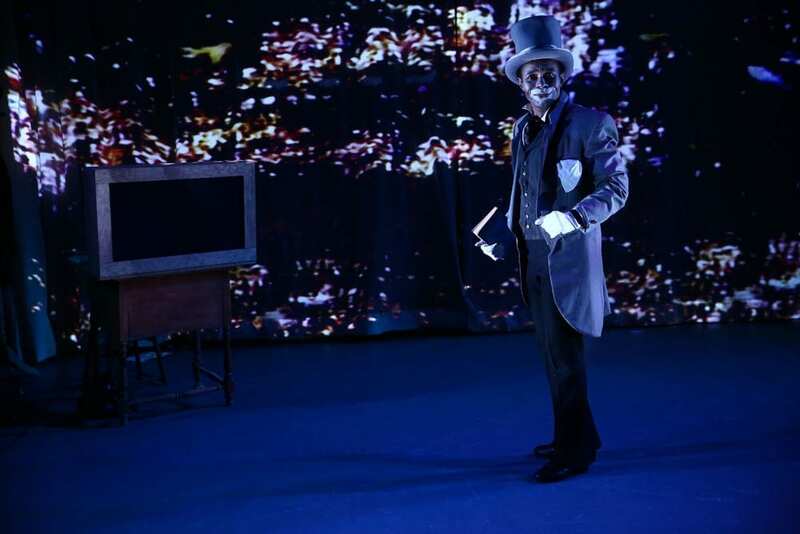 Many viewers at home found that the first part, which they thought was the whole act, did not do justice to Williams’s genius and that it merely replicated traditional stereotypes of African Americans through the use of blackface. By showing Vereen’s complete act for the first time in over twenty years in Until, Until, Until…, Arceneaux reflects on past and contemporary Black performance, representation, and reception with Lawson playing Vereen playing Williams in blackface. Aurore Spiers is a PhD Candidate in Cinema and Media Studies at the University of Chicago. Her dissertation examines the reception history of early French comedy in France and the United States from 1906 through the 1920s. Since 2013, she has worked on the Women Film Pioneers Project edited by Jane Gaines and Kate Saccone and dedicated to women’s work behind the camera during the silent era. This workshop will not have a pre-circulated paper. This presentation is on a new project about “bittersweet” as a modern emotion represented in mainstream cinema where it is often underwritten by music. Berthold Hoeckner is a Professor of Music at the University of Chicago and an associate faculty member in Cinema and Media Studies. He has published on nineteenth-century music, music and film, Adorno, and on the psychology of audiovisual memory. His book Film, Music, Memory is forthcoming from the University of Chicago Press in its “Cinema and Modernity” Series (ed. Tom Gunning). In The Classical Hollywood Cinema (1985), Janet Staiger, Kristin Thompson, and I tackled several questions, including: What are characteristic features of style and narrative in American studio filmmaking, and how might we explain them historically? This talk proposes to survey some of the answers, chiefly those presented as explanations, and then trace their presuppositions about artistic continuity and change. The talk goes on to trace how later research projects suggested some refinements in those explanations. In the course of this talk, I’ll be distinguishing several types of explanation and considering the central role of norms in analyzing artistic styles. I’ll also argue for the usefulness of two conceptual tools I’ve deployed in later work: the problem/solution model of artistic activity and the idea of schemas as a through-line within an aesthetic tradition. The last part of the talk concentrates on how the problem/solution couplet and the notion of schemas inform a trend of “middlebrow modernism” in adjacent arts, and point toward explanations of 1940s innovations in Hollywood storytelling. David Bordwell is Jacques Ledoux Professor Emeritus at the University of Wisconsin—Madison. 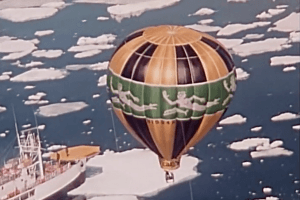 He has written several books on film aesthetics and history, most recently Reinventing Hollywood: How 1940s Filmmakers Changed Movie Storytelling. With Kristin Thompson he has written the textbooks Film Art: An Introduction and Film History: An Introduction. They blog regularly at www.davidbordwell.net/blog.